The First China (Xingcheng, Huludao) International Swimsuit Festival will open in Xingcheng, Huludao in northeast China's Liaoning province from August 16 to 17. Analysts said that the festival will give a big piece of cake for developing the local tourism industry as well as its swimsuit industry. Tourism is commonly regarded as a typical attention industry. A key issue before a tour city lies in attracting tourists with the information of the city distinct from the immense social information. 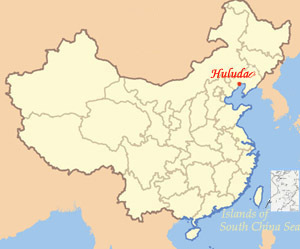 The swimsuit festival is a temporary but dynamic tourist attraction that can form huge sensational effect in a short period and improve tourists' awareness of Huludao City in an attempt to bring more tourists to the city. Besides, the festival will help upgrade the local tourism products, adjust the local tourism seasons and improve the service level of the local tourism industry.